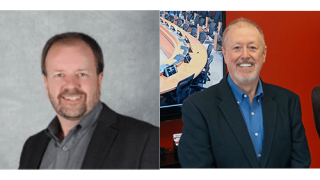 Media Vision has expanded its sales department with Curtiss Singleton joining as VP of sales for The Americas, while a new department focusing on system solutions and headed by Patrick Herlihy will offer dedicated support to technology consultants. Singleton brings more than 15 years of executive leadership experience to Media Vision, including previous management roles at Revolabs, ClearOne, Polycom, and Panasonic. As vice president of sales for Media Vision, Singleton will focus on revenue growth in the Americas and competitive market share. He will build upon channel partnerships and strategic alliances while also leading the development and implementation of new channel sales strategies, including growth planning and new markets development for the company. The second pillar of Media Vision’s restructuring includes the creation of a system solutions department that will serve the company’s consultant partners on design approach, knowledge sharing, and problem solving. After managing Media Vision's product sales team for the past three years, Herlihy will now lead the new department and act as the primary consultant liaison. “My goal is to ensure that consultants will benefit from the highest level of support and product expertise,” Herlihy said. To ensure impeccable project delivery and complete client satisfaction, Herlihy will also dedicate his expertise to assist regional sales managers with large projects, and in-field trainings.